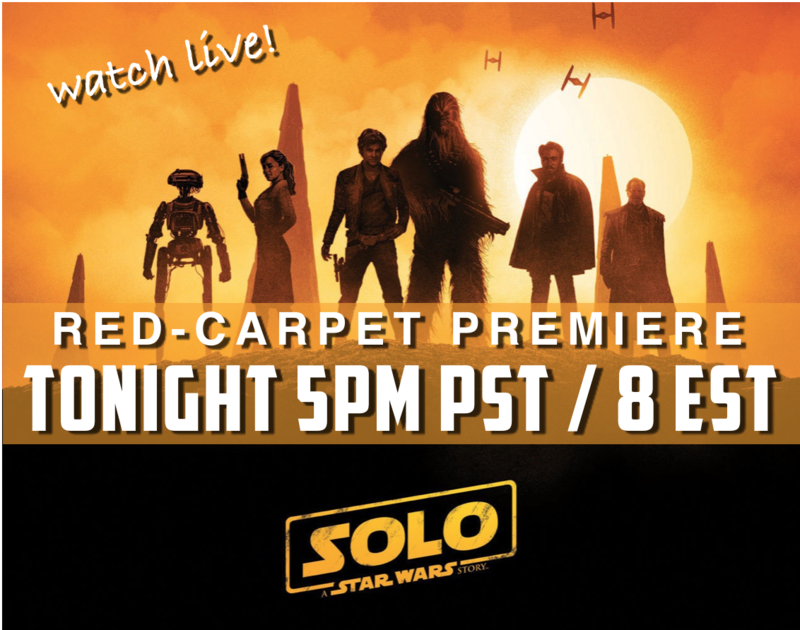 TONIGHT’s the night that Han and the gang blast into Hollywood for the red-carpet premiere of Solo: A Star Wars Story. See all the action from the red carpet LIVE as it happens right here. And we’ll be there on the carpet, so make sure to follow our Twitter and Instagram for cool updates. SPECIAL GUESTS: Mark Hamill, Ewan McGregor, Billy Dee Williams, Ray Park, Peter Mayhew, Joe Manganiello, Sofia Vergara, Nathan Fillion, Alexandra Daddario, Allison Holker, Stephen ‘tWitch’ Boss, Benjamin Bratt, Constance Zimmer, David Alan Grier, David Dastmalchian, Evelyn Leigh, Derek Hough, Gilles Marini, Manish Dayal, Omar Benson Miller, Tony Revolori, Wayne Brady, Wesley Johnson, Yvette Nicole Brown, Taran Killam, Johnny Knoxville, Boris Kodjoe, Leo Nam, Missi Pyle, Alfonso Ribeiro, Ptolemy Slocum, Titus Welliver, Ru Paul, Chris Hardwick, Jon Heder, Mason Cook.